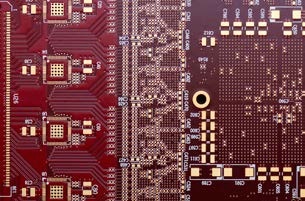 Typically used in avionics and military applications, FIMA is able to supply flexible single sided, doublesided, multilayer circuits and multilayer rigid-flex circuits, with two or more different flexible layers, with blind vias et all surface finishings..
FIMA can produce printed circuit boards with very dense interconnections (HDI), very fine lines and gaps (down to 25 μm). Usually these PCBs have buried vias, simple, staggered, stacked blind microvias over several levels: the production of HDI boards is made easy by the use of laser technology. 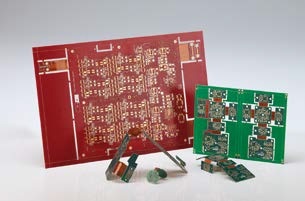 Available surface finishings on these PCBs are: ENIG, ENEPIG and Immersion Tin. These PCBs are designed for high frequency applications: they are produced using special laminates, often a mix of different materials. 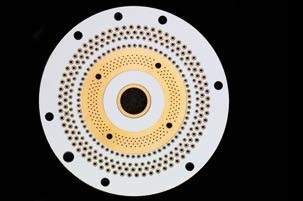 RF PCBs need dimensional checks of the pattern through an automatic optical inspection (AOI) machine. The impedance values of the signal lines have to be certified through coupons and measurement protocols.